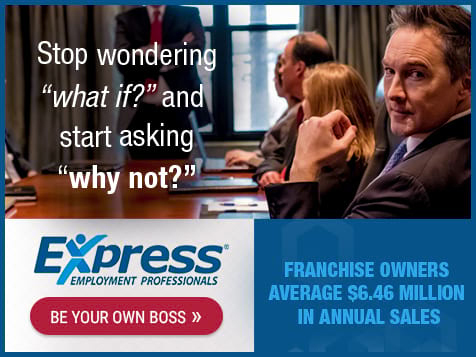 How do I buy an Express Employment Professionals Franchise? Express Employment is a franchise in the staffing industry that is a 100% franchised. To buy an Express Employment franchise an investment between $135,000 and $206,000 is required. Investment varies based on the type of franchise acquired, Traditional or Professional. Express offers multi-step marketing campaigns, sales training, public relations assistance, annual regional and international training events, as well as continuing education for staff and owners via Express University online. The temporary staffing industry is on track to generate a projected $150 billion in North America annually. Express Employment Professionals reached $3.4 billion in sales in 2017 and has been ranked the No.1 staffing franchise in the Entrepreneur 500 for seven years running! Our start-up offices average more than $1 million in sales in their first year, with mature offices averaging $6.46 million annually. * Plus, as an Express franchise owner, you control your life with flexible weekday hours in a professional business setting. 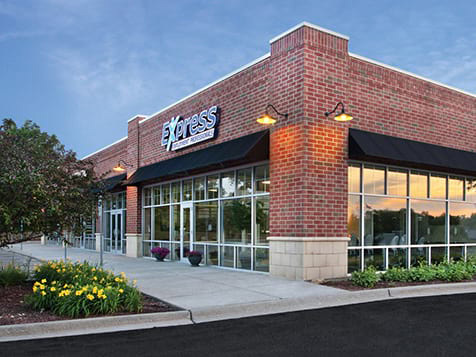 Express is a growing franchise with more than 800 locations and a 35 year history of success. 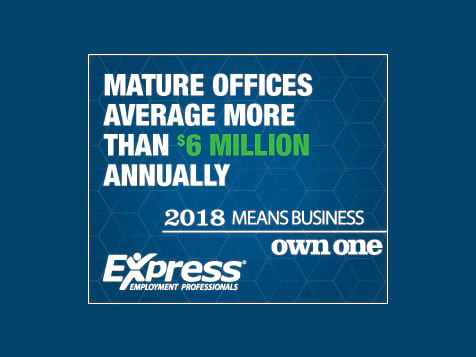 Open Express Employment Professionals in any of these available states: AL, CA, CT, FL, IL, ME, MD, MA, MT, NH, NM, NY, NC, OH, PA, RI, SC, VT, VA.
New owners generate on average of $134,016 in revenue each month by the 12th month of operation, and $226,286 in monthly revenue by their 24th month. Express Employment Professionals is not currently active in our directory, but here are some other recommended selections for you to explore.